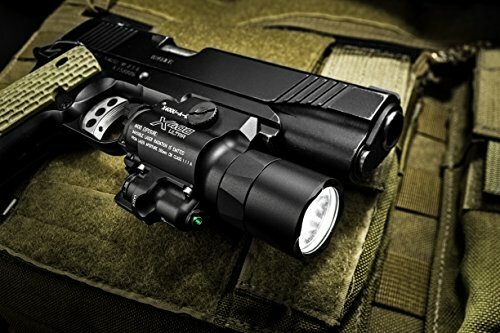 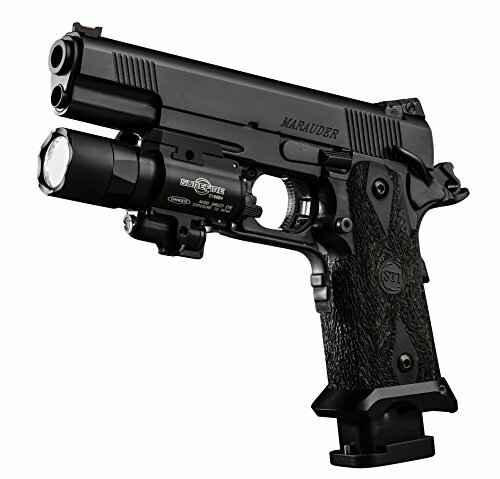 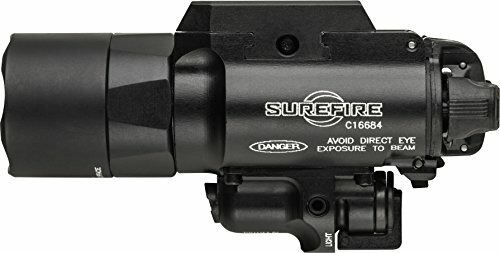 A high-performance LED generates 500 lumens of brilliant white light that is focused by a Total Internal Reflection (TIR) lens to produce a tight beam with extended reach and significant surround light for peripheral vision. 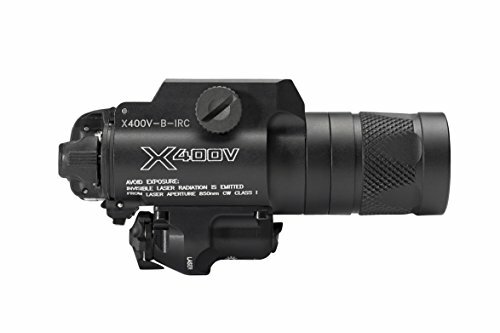 The X400 Ultra produces tactical-level light--enough to overwhelm an aggressor's dark-adapted vision--for 1.75 hours per set of batteries. 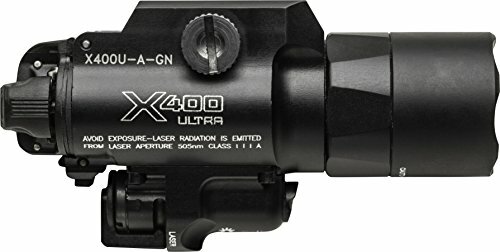 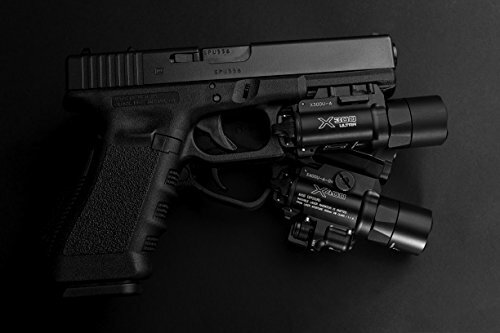 The X400 Ultra’s 5-milliwatt laser sight, located below the primary light, emits a high-visibility green (505 nM) beam. 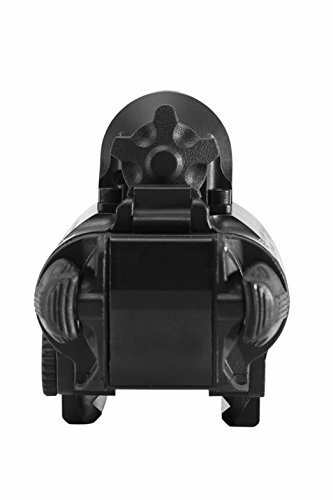 The laser's aiming adjustment mechanism uses Nylok screws that won't back out from the effects of recoil, which means it rarely needs to be re-zeroed. 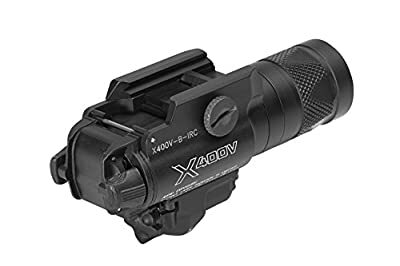 Activating the X400 Ultra is done via ambidextrous switching located at the rear of body, providing one-finger control -- press the switch on either side for momentary-on activation, flip up or down for constant-on activation. 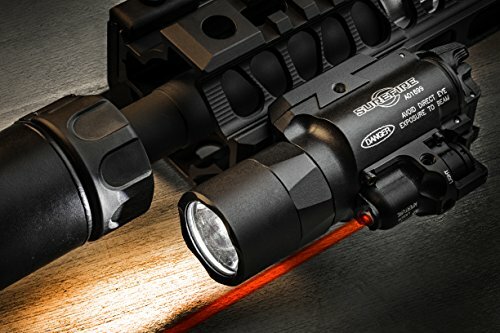 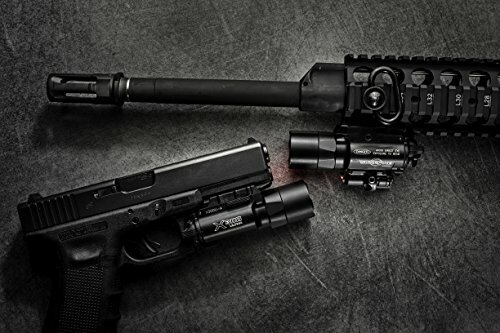 A separate switch at the rear of the X400 Ultra allows you to (1) activate white light illumination only, (2) activate white light illumination simultaneously with the laser sight, (3) activate the laser sight only, or (4) disable the entire X400 Ultra.